MasterPhotoshop CS4 with this visual, hands-on guide to using layers, under the expert guidance of digital imaging specialist Richard Lynch. Layers, Photoshop's most powerful feature, is the core of a nondestructive image-editing workflow.Step-by-step instructions and practical examples illustrate how to. Polish: correct and enhance color, fix composition problems, and repair damage or flaws Manipulate: isolate image areas for changes, adjustments and experimental concepts Understand: use all forms of layer blending, including transparency, clipping masks, opacity/fill, layer masks, layer modes, channel targeting, Blend If, and Effects/StylesThe accompanying DVD comes complete with a generous library of practical actions based on techniques from the book that add functional power to Photoshop, along with practice images for all the exercises in the book. 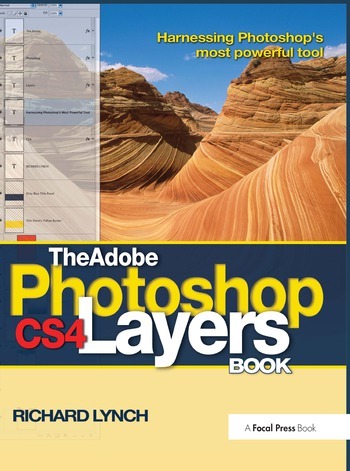 This focused, highly accurate, comprehensive, and practical guide offers invaluable advice for all users of Adobe Photoshop CS4.